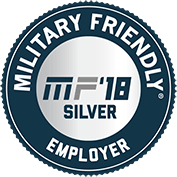 We keep employees informed of promotional job opportunities during their deployment. 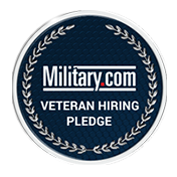 We assist deployed employees with the application process for promotional opportunities. We freeze openings allowing those deployed the opportunity to interview and will delay their start until the employee returns. We takes steps to ensure employees are kept whole during their deployment with respect to pay and benefits. We check-in with employees and their families during their deployment, often sending words of encouragement, cards and care packages. 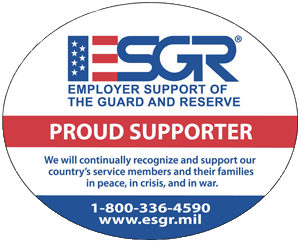 We celebrate the safe return of our employees and personally thank them for their service. An Annual Veterans Open House which includes panel discussions with staff members and their experience as a transitioning service member, a question and answer period to ask about job search strategies and tips, and the opportunity to network with our recruiters and hiring managers. Participating on Transition University Mentorship Panels (formerly known as the Transition Assistance Program) where attendees learn about job searches, career decision-making, current occupational and labor market conditions resume and cover letter preparation, as well as interviewing techniques. Advertizing our talent needs with our Veteran Referral Network which includes community partners and professional connections and include the Department of Veterans Affairs, Military Officer Association of America, Colorado Springs Veterans, the Colorado MVS (Military, Veterans, and Spouses) Employment Coalition, and a growing list of additional contacts. A proactive program supporting small, disadvantaged businesses. Included in this program are efforts to provide opportunities to veteran and disabled veteran-owned businesses.